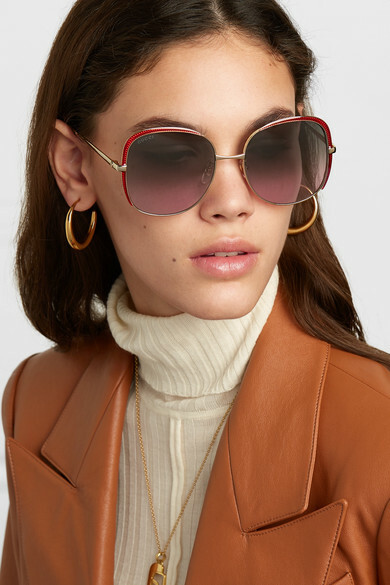 Gucci's oversized sunglasses have an elegant feel to them thanks to their delicate gold-tone frames and square shape. 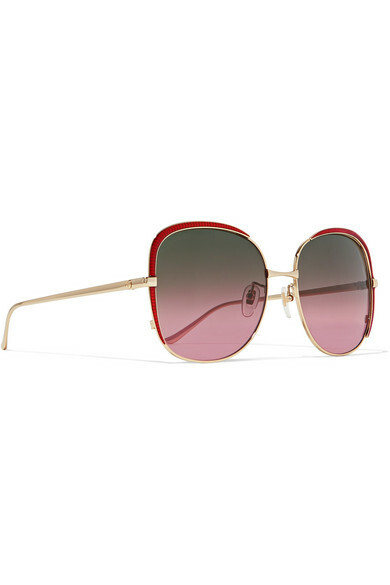 Made in Japan, the corners are decorated with ruby-red acetate that'll glisten in natural light, complementing the purple-tinted lenses. 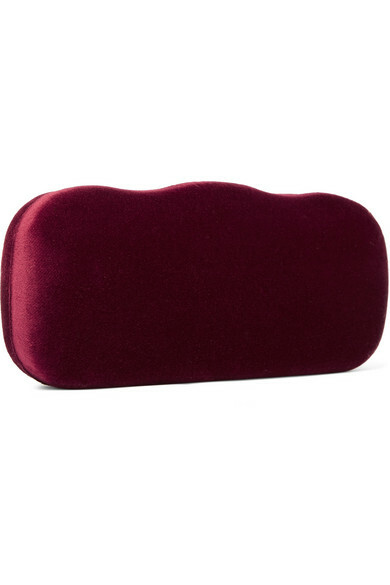 Adjust the nose pads to find a secure fit and stow them inside the plush velvet case when indoors. Shown here with: we11done Blazer, Chloé Sweater, M.i.h Jeans Jeans, SIMON MILLER Clutch, Acne Studios Sneakers, Natasha Schweitzer Necklace, Dinosaur Designs Earrings.